NBCUniversal is getting ready to turn the clock back with a new digital subchannel filled with “retro reruns” and old movies. Nothing is official yet, but from the looks of its tentative lineup, it appears to be a pale imitation of Weigel Broadcasting’s Me-TV and Tribune Broadcasting’s Antenna TV. Set to debut January 1 as COZI TV, the new network will be airing in all 10 markets with NBC-owned stations, including NBC 5 here. 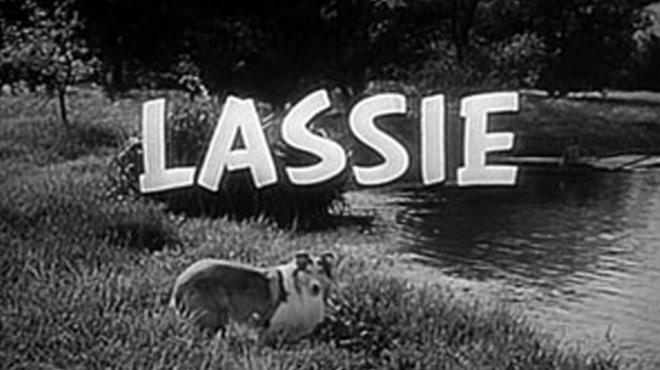 A working schedule, obtained Tuesday, kicks off mornings with Lassie, followed by Roy Rogers, The Lone Ranger, The Virginian, The Adventures of Kit Carson and Alias Smith and Jones. Middays feature Marcus Welby, M.D. and Highway to Heaven. Movies air in afternoons, followed by rotating comedies Burns & Allen, The Lucy Show, Ozzie & Harriet, Red Skelton and Groucho Marx. Prime time includes Charlie’s Angels, The Six Million Dollar Man, The Bionic Woman and Magnum P.I. It’s not known what the new network will replace on NBC 5’s digital tier. Station officials did not respond to calls for comment. Jody Weis, the former Chicago police superintendent who turned up as a “security consultant” for ABC 7 during coverage of the NATO Summit earlier this year, has been added to the station’s payroll. On Monday, he was named “public safety expert” for ABC 7 news. “Jody did a great job during the NATO Summit helping us better understand the security challenges law enforcement faced,” Jennifer Graves, vice president and news director, said in a statement. “In his new role, Jody will lend his insight and expertise as we continue to report on Chicago’s violence problem and other public safety issues.” Before heading the Chicago Police Department from 2008 to 2011, Weis spent 23 years with the FBI. In a rare public skirmish involving one of Chicago’s most reclusive philanthropists, media mogul Fred Eychaner is making headlines here and in New York over an $11 million donation. Eychaner’s Alphawood Foundation claims in a lawsuit that developers of Franklin D. Roosevelt Four Freedoms Park in Manhattan reneged on a promise to acknowledge the grant with “separate and unique recognition.” The suit threatens to delay dedication of an FDR monument, scheduled for Wednesday. Eychaner tops the list of the nation’s biggest Democratic campaign donors. His Newsweb Corp. owns progressive talk WCPT-AM (820), among other properties. No one was more surprised than Jim Richards, operations manager of Merlin Media Chicago, to read that he had fired Eric “Shark” Olson from alternative rock WKQX-LP (87.7) last week. Richards said he called in Olson, who’d been working part-time since July, to say that his hours were being cut. The move was triggered by the sale of Merlin’s WRXP-FM in New York, freeing Walter Flakus, the assistant program director and music director, to host afternoons on Q87.7 here. “I explained to him that his role was going to be significantly reduced because we sold New York and we’d be moving Walt from New York on air to Q on air,” Richards said. “I thought I had made it clear — and he even pitched me to do some work for i101 — but then he chose to announce that he’d exited.” Richards denied a report that he thanked Olson for bringing in high ratings or paid him severance: “We didn’t even talk about ratings. Not ratings related at all. And he was not given two days’ severance pay because he was not terminated. I offered to pay him for Thursday and Friday if he wanted to take those days off. That’s all there was to it.” Either way, it's over and out for Shark now.